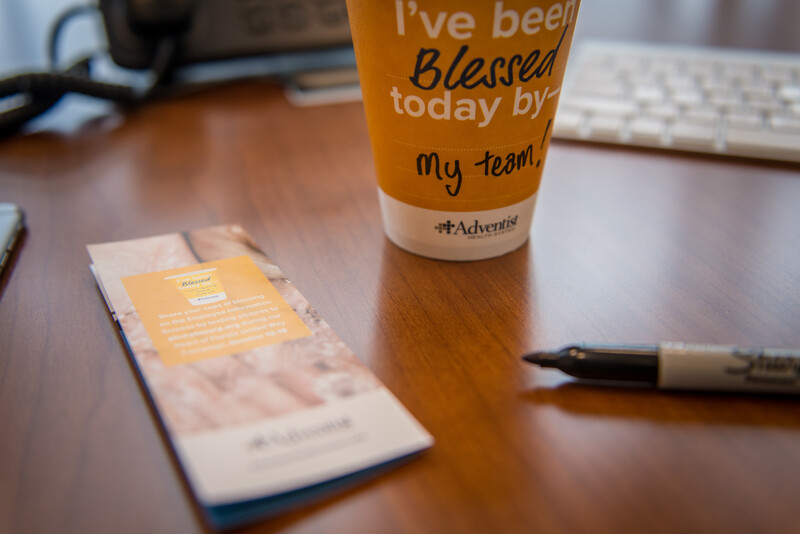 I've Been Blessed Today is a continued campaign created to raise awareness for a week-long annual fundraising campaign benefiting Heart of Florida United Way as part of our corporate community involvement program. 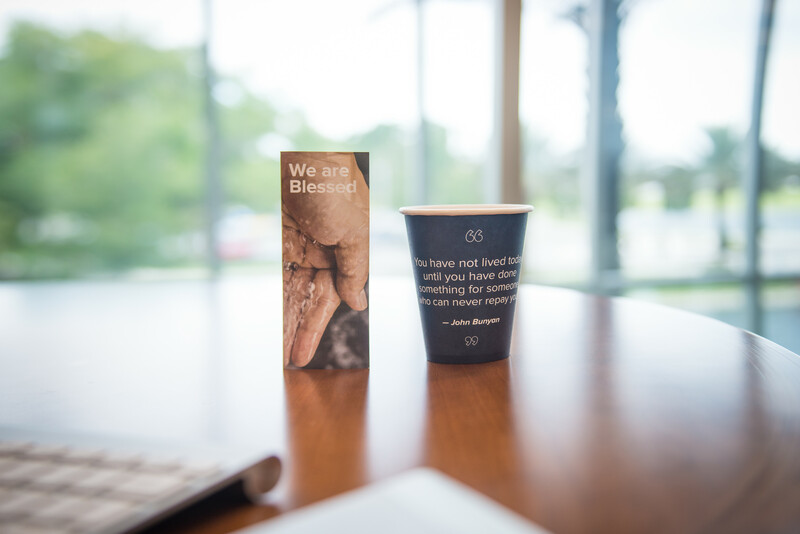 The central element of this year's campaign was the replacement of all disposable cups in the building on the first day of the fundraising campaign. 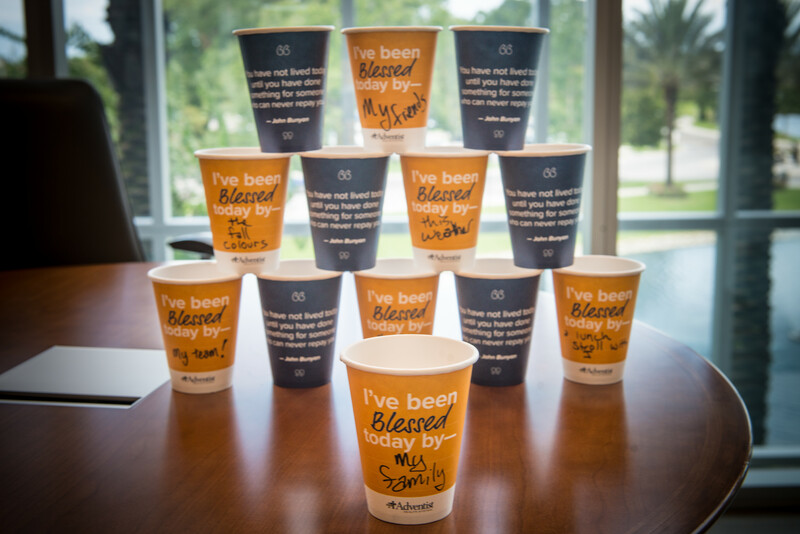 The cups we replaced them with were designed to inspire employees to reflect on the blessings already present in their lives, then share via our internal digital signage. 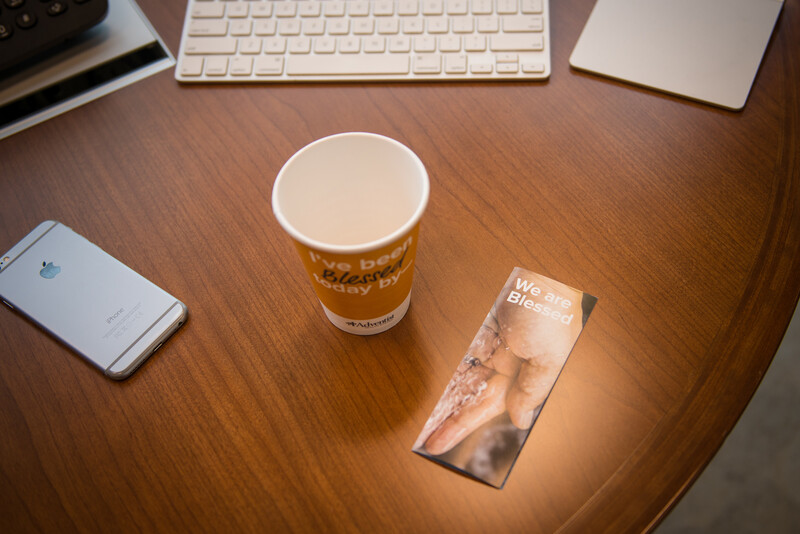 Our goal was to improve visibility and engagement via socialized interaction with the promotional material in order to increase engagement and donation for the fundraising campaign. 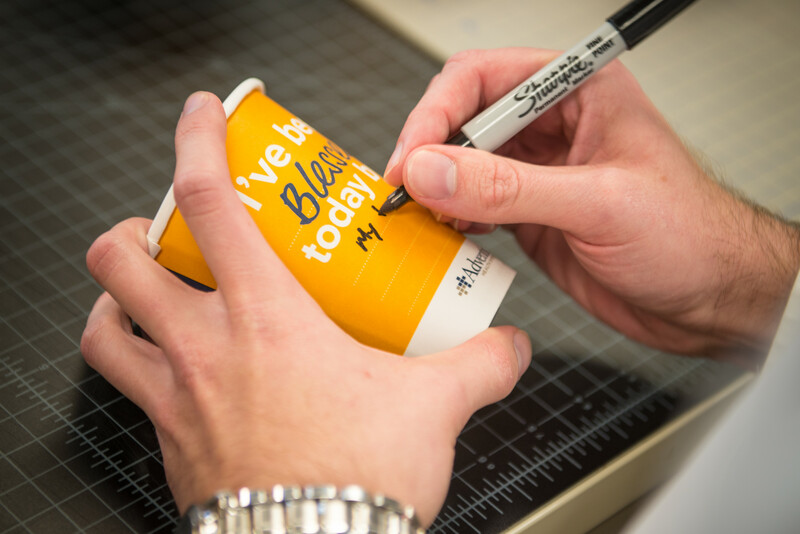 My role was to carry the theme started last year forward into an evolution of concept. I also wanted to take this opportunity to further establish and solidify the community involvement branch of our visual brand expression. 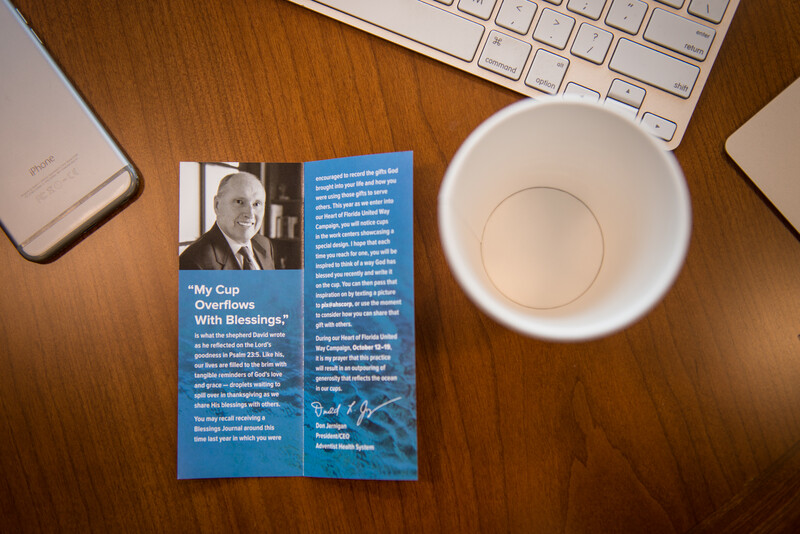 On Friday afternoon—the week before the first day of the fundraising campaign—my team and I hand-delivered these cups and intro cards to the ~1,300 employees and various canteens on campus. The reception was warm and positive. People seemed eager to learn about how to interact with the campaign. 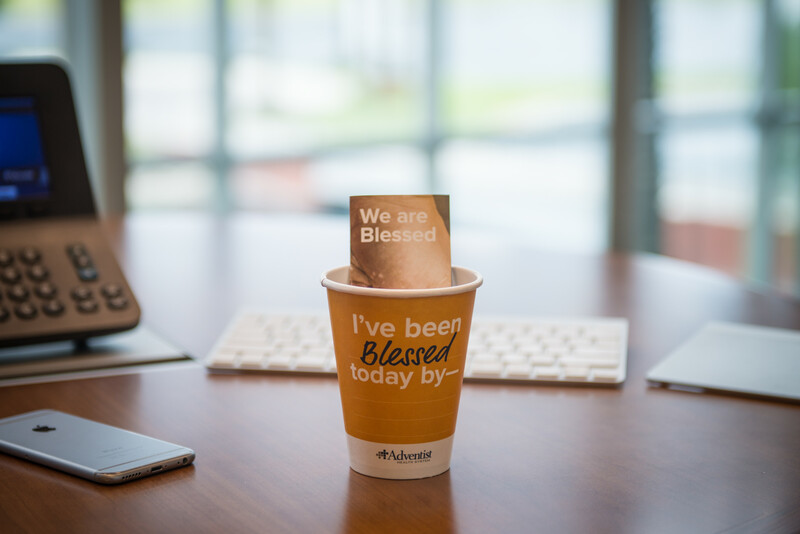 During the campaign week we had several people submit their photos as prompted, sharing what had blessed them that week. 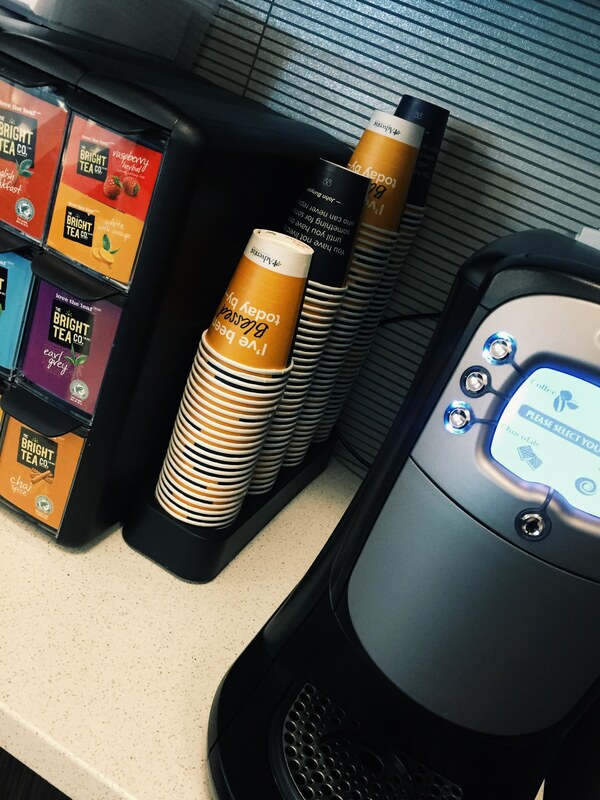 My team collaged these photos and shared them via our internal digital signage.